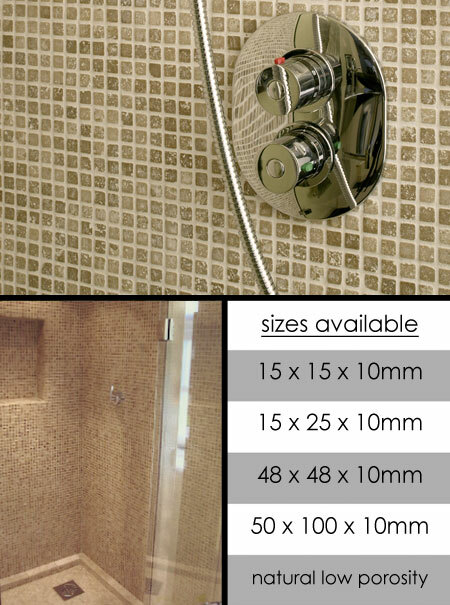 This brown to beige solid stone mosaic is shown here in 15mm x 15mm individual stones adhered to a 300mm x 300mm meshed backing allowing for quick and easy installation. * Four travertine mosaics sizes. * Suitable for floors & walls.